At Indiana University, brothers Kevon and Melvin Edmonds teamed with college mate Keith Mitchell to form After 7 and played local gigs in the Bloomington area. Meanwhile, the Edmonds' older brother, Kenneth "Babyface" Edmonds, became part of the funk group the Deele, and ultimately joined with bandmate L.A. Reid to become the top songwriting and production team in modern music. Together LA and Babyface worked with Boyz II Men, Toni Braxton, Whitney Houston and dozens of other top acts, while Babyface also forged a successful solo singing career. In 1988 Babyface and Reid entered into an artist development agreement with Virgin Records and approached After 7 about signing with the label. With some trepidation the trio, by then in their 30s, signed, and the resulting self-titled debut recording became a smash on both Soul and Pop radio, yielding three hits, including the chart topper "Ready or Not." After 7 went on to become a consistent, if understated, charting act, scoring moderate hits with "Nights Like This" (from The Five Heartbeats soundtrack) and a nice cover of "Baby I'm For Real" before landing a major crossover hit in 1995 when Babyface returned to the production and songwriting helm with the wonderful midtempo number "Til You Do Me Right." And while After 7 boasted solid harmonies and generally strong material, the highlight of the group's recorded performances was Edmond's bright, upbeat vocals. While the group continued to score gold albums, by 1996 they were in their 40s and were considered an "adult" act. Their relationship with Virgin soured and, shockingly, After 7 members found themselves unsigned. 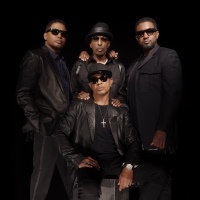 Babyface brought brothers Melvin and Kevon together with K-Ci and JoJo to form the one song group Milestone, which landed in the top 10 with the exquisite "I Care About You" for the Soul Food soundtrack. But After 7 soon split, with Melvin (who had had some friction with the other two group members) taking a job as a truck driver and Keith working construction. Kevon Edmonds went solo and released the moderately successful solo album 24-7. During his tour he brought on Melvin's son, Jason, to sing backup and help on some of the After 7 covers. 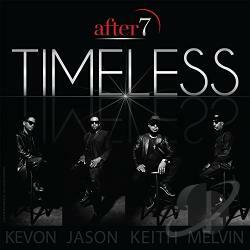 This ultimately led to a reunion of sorts in 2009, Keith joined Kevon and Jason Edmonds to tour as a new version of After 7. Sadly, Melvin suffered a stroke in 2011, which prevented him from considering rejoining the group. In 2015, After 7 was back recording a new album, with all four members aboard. "I Want You," recorded with the help of Babyface and Darryl Simmons, peaked at #6 on the Urban AC Charts. The four member ensemble released a second single “Let Me Know” in June 2016 to similar success, and followed in October of that year with Timeless, an artistic triumph that found the group sounding better than ever. It led to them winning SoulTracks Readers' Choice Awards that December for Group of the Year and Song of the Year (for "Let Me Know"), capping a gratifying comeback.